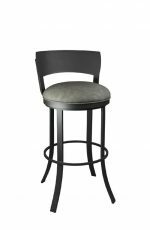 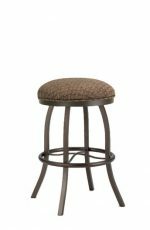 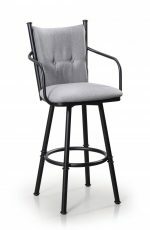 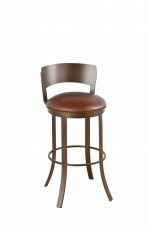 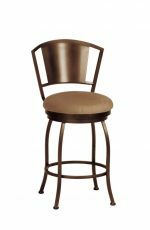 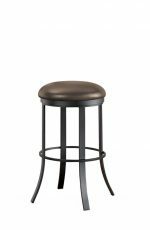 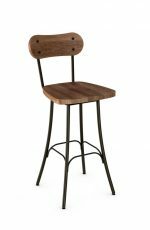 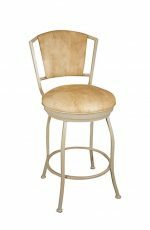 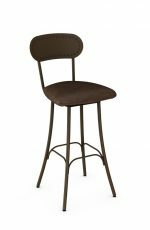 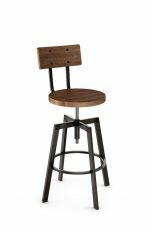 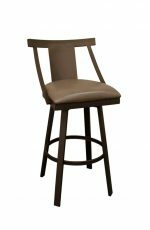 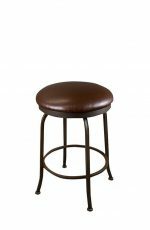 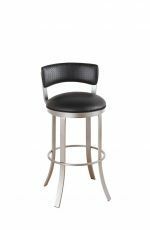 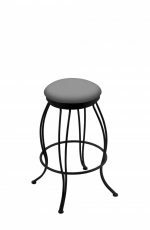 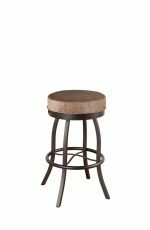 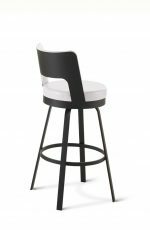 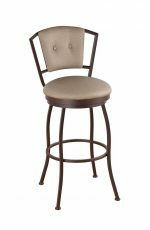 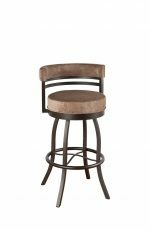 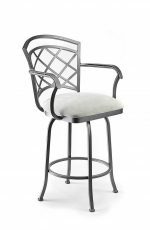 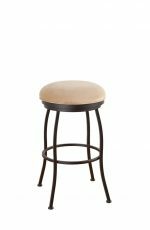 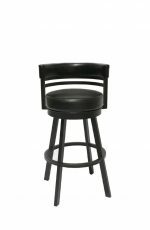 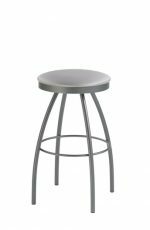 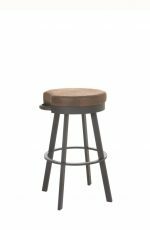 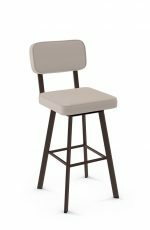 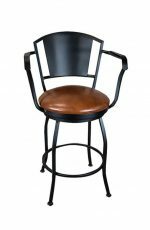 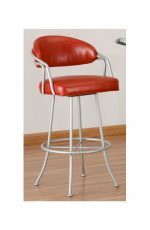 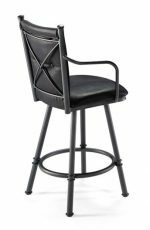 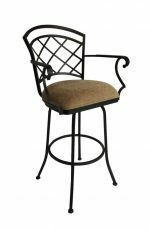 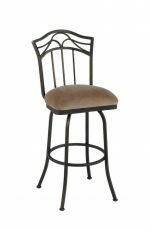 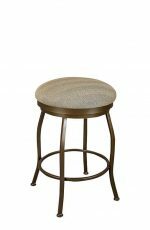 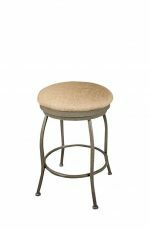 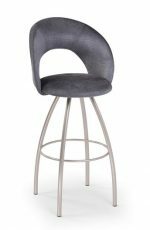 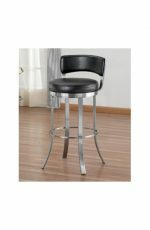 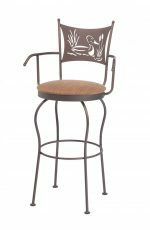 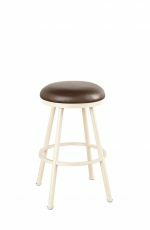 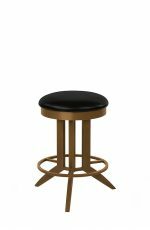 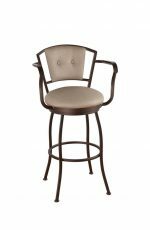 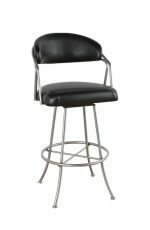 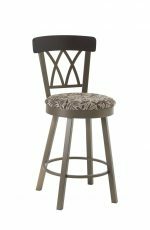 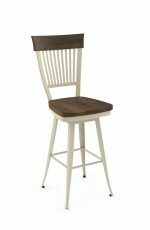 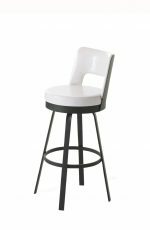 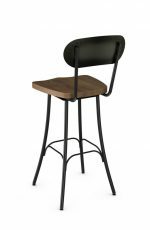 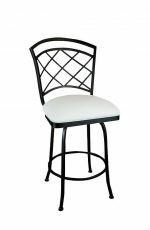 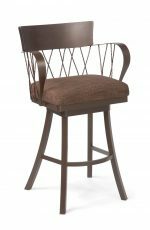 Shop Swivel Bar Stools & Counter Stools - Free Shipping! 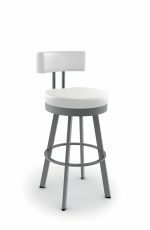 Stools that swivel are easy to get in and out of because they can rotate from side to side and you don’t have to physically move the entire stool. 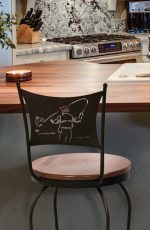 A simple quarter turn of the seat gives most individuals a clear path to stand up or sit down. 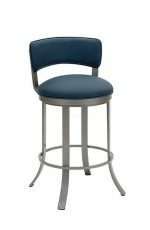 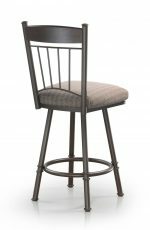 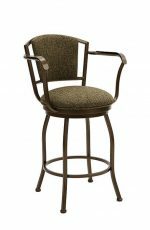 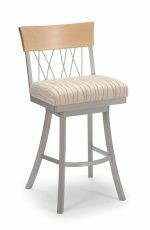 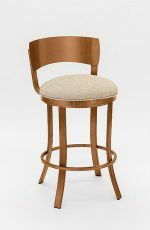 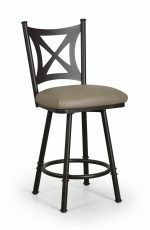 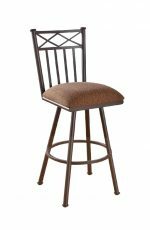 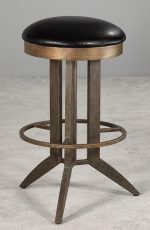 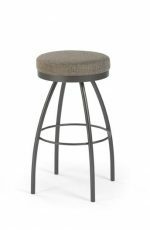 Swivel bar stools are our most popular type of stools. 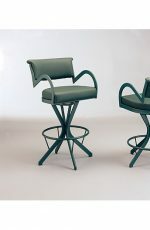 They’re usually 360-degree swivels, which turn all the way around. 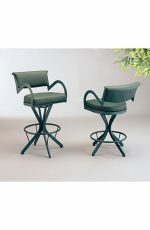 They’re great for turning in all directions to watch TV, talk to guests, look out windows and such. You also don’t have to move the stool to straighten the seat. 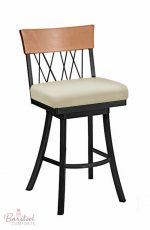 The swivel allows you to turn the seats to line up the backs and give your room a neat appearance. 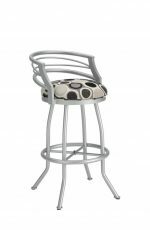 Memory-return swivel seats spin back to their “home” position and can even do the work for you! 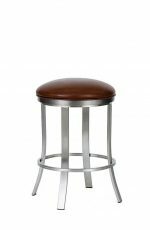 These stools spring back or “return” to the center when you stand up from the stool. 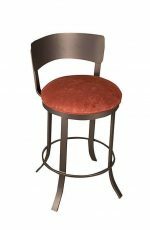 As long as the frame is facing forward, the stool’s seat will always return to face the counter. 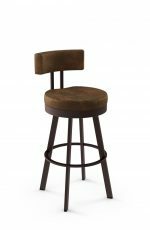 These stools are great if you always want to face forward. 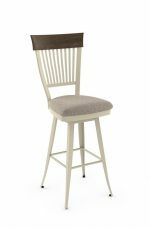 However, if you want to stay turned to the left or right, you’ll have to hold the seat in that position with your arms or legs because the memory-return will want to swivel back to center. 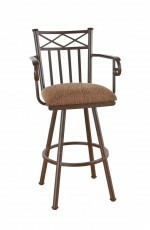 Some return swivels only have a footrest in the front, because they expect that you will want to face forward. 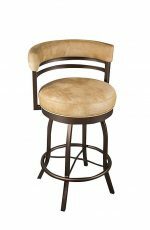 Others have a footrest that goes all around the bottom of the stool, which makes it easier to face left or right for brief lengths of time. 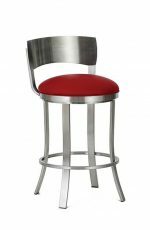 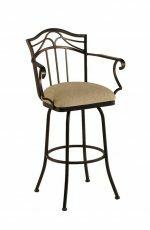 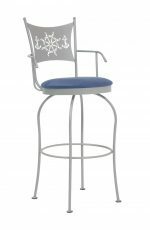 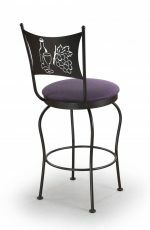 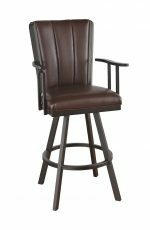 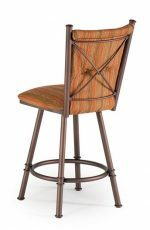 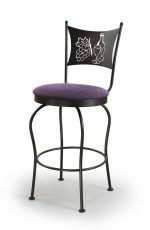 Footrest design is something you might want to consider when purchasing a bar stool. 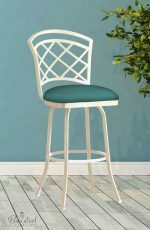 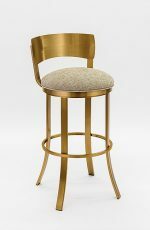 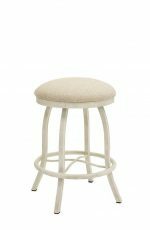 If you don’t have a lot of space or just love the design of a backless stool, we recommend one that swivels so you can get that boost of comfort. 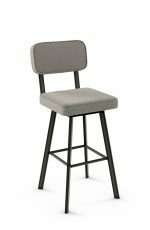 Make sure the seat width and seat depth on these aren’t too small. 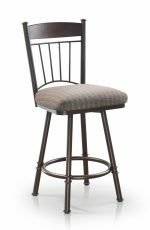 If you plan on sitting on these for a long period of time, we recommend getting them padded instead of a wood seat. 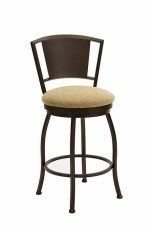 Swivel stools with arms are great for dining tables and kitchen countertops where space isn’t an issue and the arms could add comfort. 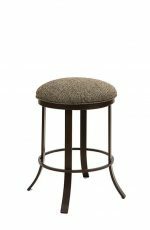 When you get a swivel stool with a back, you’re adding an extra layer of comfort. Not only can you rotate in every direction, but now you have back support, especially needed when you plan on sitting on these for a long period of time. 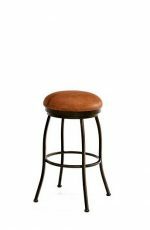 Remedy #1: Place a clear stopper with a sticky back on the stool where it hits the counter. 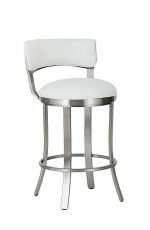 These are about the size of a dime and are made of clear plastic. You won’t see the stopper – it will blend in and protect your countertop and stool from damage. 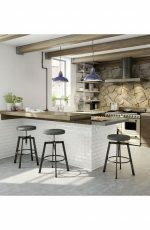 Clear plastic stoppers can be purchased at any hardware store. 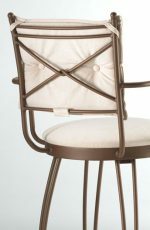 Remedy #2: Purchase a length of clear plastic hose and cut off a one to two inch piece. 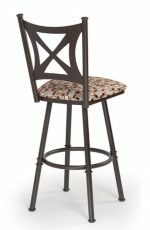 Slit the piece up the center and snap it over the outer frame of the back of the stool where it meets the counter. 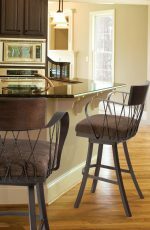 Remedy #3: Purchase transparent rubber stripping and glue it around the edge of your counter. 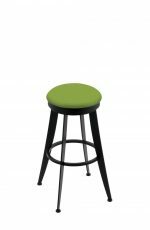 This will protect the entire edge of your counter not only from stools, but from other bumps and dings. 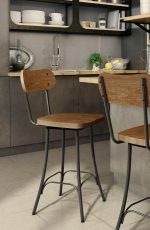 Transparent rubber stripping can be found at any hardware store. 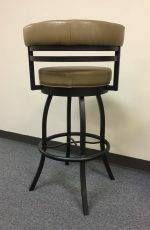 When you receive your stools, the only thing you’ll have to do is connect the top of the stool to the base. 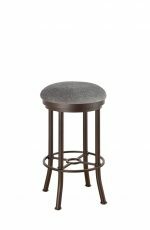 The top of the stool is one piece that includes the seat, the back and the arms (if any). 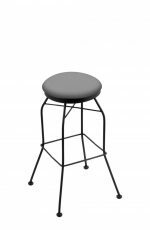 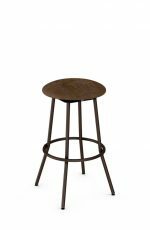 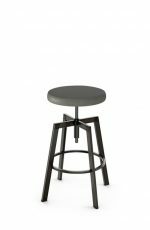 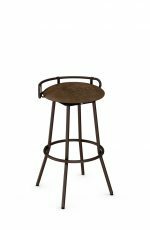 The base consists of the stool’s legs and a steel swivel plate. 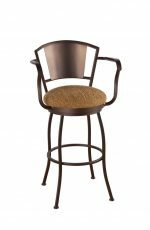 Watch our how-to video here to see how easy it is. 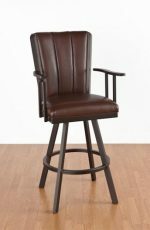 Of course, just ask us if you have any questions! 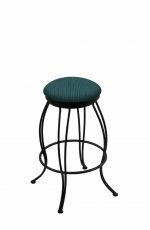 Swivel stools usually have legs that flair out, while stationary stools usually have legs that go straight down from the seat to the floor. 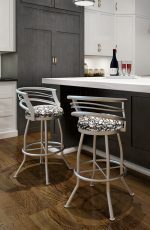 Here are pictures that show the difference between flared legs and straight legs. 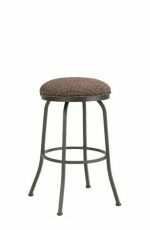 Please keep in mind the extra width of flared legs when you measure for your stools. 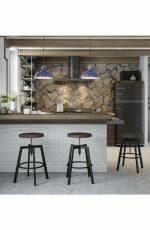 If you have any questions, please get in touch with us here. 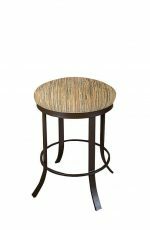 Our designer, Deborah, is happy to help you with any design or measurement questions.